Amber Caroselli was a typical high school junior; she hung out with friends, had a part–time job at Sonic and was continuously focused on her G.P.A. because she had her eyes on several scholarships for college. Every now and then her hands and feet would swell. It was originally contributed to dance class and modeling class. Then it began to happen more frequently. Amber was taken to her local hospital to test for Lupus because her symptoms pointed to it but the results came back negative. One night in June of 2016, Amber complained of stomach pains and was speaking incoherently. Upon making sense and feeling better, she went to sleep. The next morning, Amber was found unresponsive in her bedroom. Doctors could not understand what was wrong. While being treated, she suffered several seizures and strokes. She was no longer breathing on her own, her kidneys completely failed, and she flat-lined. Amber’s mother called her Pastor and he prayed over Amber. She responded. Still unclear as to why Amber was unresponsive, she was moved Phoenix Children’s Hospital. Two days and many tests later, she was diagnosed with having Lupus. It had attacked her brain, lungs, kidneys, heart, 3 blood clots which one now threatened her left leg. Blood was not flowing to her left foot. The doctors spoke of amputation but her mother said no. Her daughter would dance again. Doctors asked her mother to prepare for the worst. After much prayer, Amber awoke but could not remember what happened to her or where she was. She did not recognize her mother. Doctors said she would never be the same as her brain was damaged from the many strokes and seizures. Doctors said she would never walk or run again. Amber proved them all wrong. In two weeks, her kidneys had improved 80%. In three weeks, the breathing tubes were removed. There were no more signs of seizures or strokes. Amber recognized her mother, her brother, her sister and doctors. She could read and recognize images. Surgeons no longer wanted to amputate her entire left leg but just half of her foot as the toes remained the only part affected by the blood clot. As time went on, Amber became stronger. She continued to improve. Even with losing her hair to chemo treatments, her spirit remained positive. She wouldn’t let Lupus defeat her. She was determined to beat it! After two and half months, Amber was discharged from the hospital. While getting her life back together was hard, she had a phenomenal support network of family to help her. Due to her involvement in the Rhoer Club of Sigma Gamma Rho Sorority, Inc., members prayed and sent words of encouragement. Amber went back to high school in a wheelchair, then a walker, a cane and then she walked! She modeled in a fashion show and received a standing ovation. She is an inspiration not just to her peers but to all! Amber is currently a thriving Freshman at Grand Canyon University and is the Lupus In Color Youth Ambassador. Lupus In Color is excited to present Amber’s story to the world. As a Lupus Warrior she is actively promoting lupus awareness and wearing the armor of strength in doing so. Lupus In Color Salutes you Amber Caroselli. PLEASE SHARE Amber’s FLIGHT ON YOUR WALL AND START HER BUTTERFLY JOURNEY SPREADING LUPUS AWARENESS! 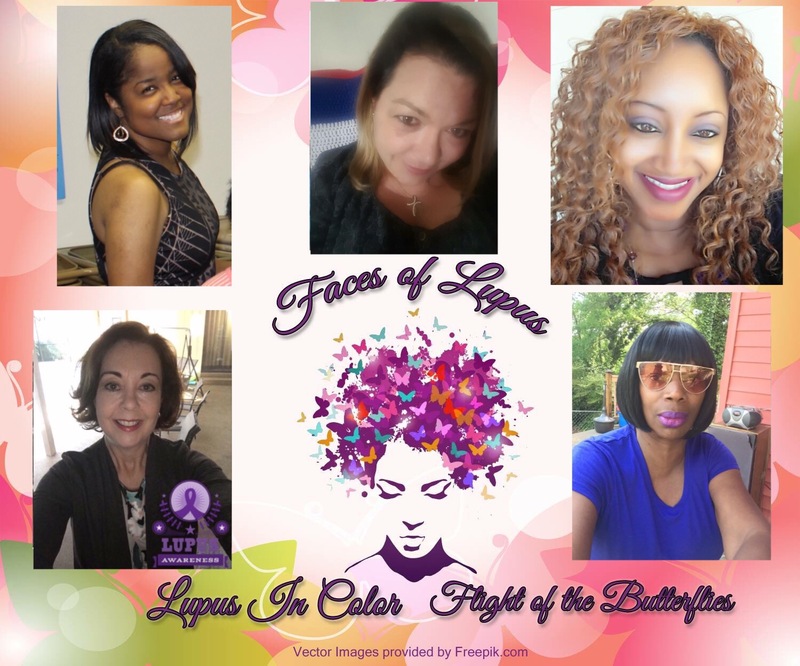 Every Tuesday in May we will show you the Faces of Lupus! Lupus affects individuals of virtually every age, race, ethnic background and socioeconomic status. Yet some groups are notably affected, with the disease three times more common in African-American women than in white women. It is also more frequent among women of Hispanic/Latina, Asian and Native American descent. Often, you can look at a Lupus Warrior and never know they are fighting a bitter hard battle daily. It’s important to see the faces that can bear the pain within without showing it to everyone who sees them. 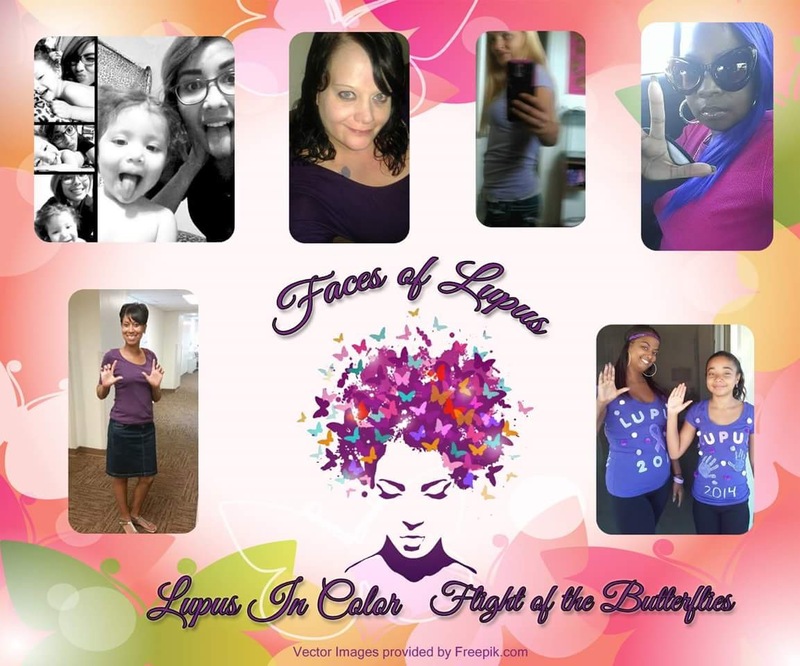 These are the Faces of Lupus, they are brave, courageous and strong! Superé las situaciones que se enfrentan en Venezuela con la crisis en materia de salud gracias a que caminé con Fe de la mano de Dios y mi familia. Hoy puedo decir que estoy sana. Que es posible superar una enfermedad que nos amenaza con estar mal. Pero que la mente, el corazón y el amor se deben unir para decirle que no va ser asi, que tu puedes salir de todo porque simplemente llegó para enseñarte no para dañarte. I overcame the situations that are faced in Venezuela with the health crisis because I walked with Faith from the hand of God and my family. Today I can say that I am healthy. That it is possible to overcome a disease that threatens to be wrong. But that the mind, the heart and the love must be united to say to him that it is not going to be like that, that you can leave everything because it simply arrived to teach you not to harm you. Lupus In Color is excited to present María’s story to the world. As a Lupus Warrior she is actively promoting lupus awareness and wearing the armor of strength in doing so. Lupus In Color Salutes you María Eugenia Abarca. PLEASE SHARE María’s FLIGHT ON YOUR WALL AND START HER BUTTERFLY JOURNEY SPREADING LUPUS AWARENESS! Lupus affects individuals of virtually every age, race, ethnic background and socioeconomic status. Yet some groups are notably affected, with the disease three times more common in African-American women than in white women. It is also more frequent among women of Hispanic/Latina, Asian and Native American descent.